MetaProducts Integra 1.0.63 free download. 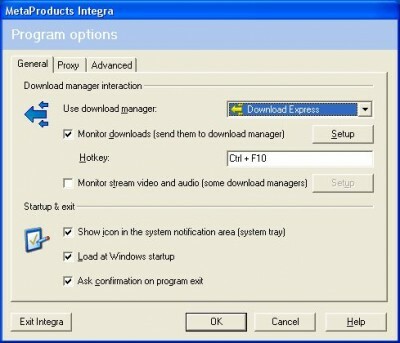 MetaProducts Integra is an application that monitors file downloads initiated by your browser and sends this download to the selected download manager. Integra uses HTTP and FTP proxy technologies to listen to browser traffic and catch the beginning of the file download. Desktop Collection combines everything you need for convenient computer operation and control into one economical package. Disk Watchman is an application that monitors your hard, removable and mapped network drive resources. MetaProducts Mass Downloader (MD) is a download manager allowing you to transfer individual files (or lists of files) from the Web and FTP sites at the maximum available speed.